In case you’re having trouble remembering that Monday means possibility, have a gander at the latest flowers in my front bed. The girl was very excited to note that they look like hearts! Oh, that’s wonderful. Are they supposed to grow that way? Or is it a special pre-Mother’s Day gift :). 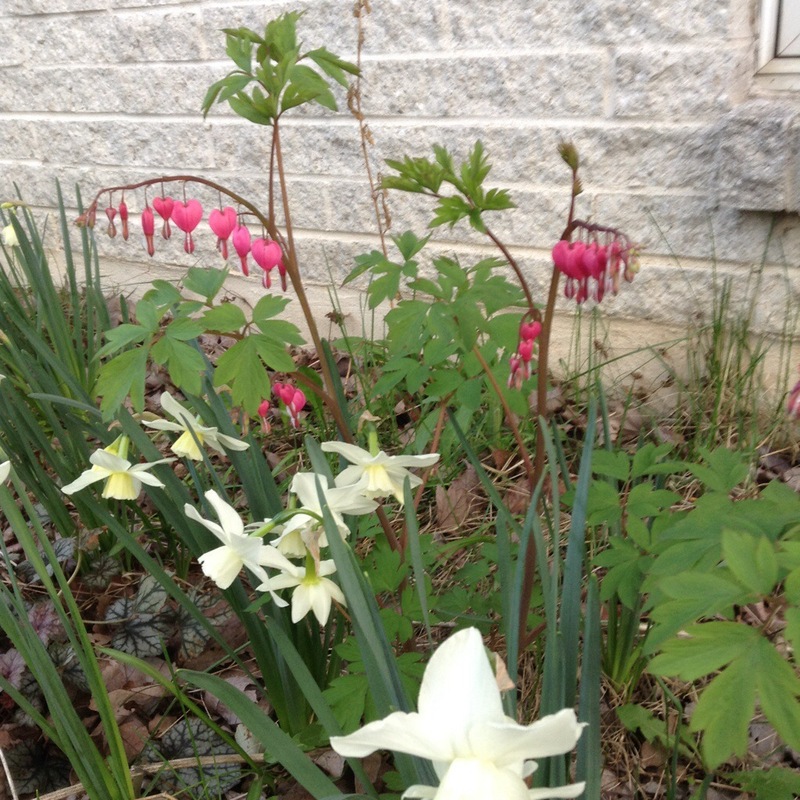 Those are bleeding hearts (scientific name used to be Dicentra spectabilis, but they’ve been reclassified as Lamprocapnos spectabilis). Spring perennial. What a loverly balance! Flowers, almost, popping out of your windowsill. Thanks! The only problem with them is that they’re very short lived.